The front porch has views for miles.This wonderful country farmhouse was custom built by the current owners and has been lovingly cared for since. With over 3880 square feet and 4 bedrooms, 3 baths the floorplan works nicely for a small family, large family or just the two of you! 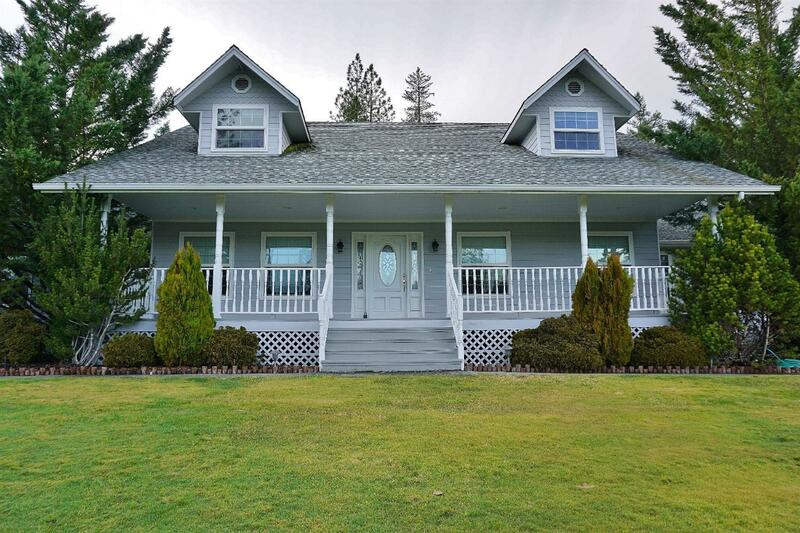 The home itself sits almost in the middle of the 15+ acres with 2-3 acres of flat usable land for gardens or an arena. Master is on the main level and the kitchen will WOW the best of cooks. Dog run and RV parking as well as a large storage building complete the picture! This property is priced to sell so don't wait to take a look! All information is deemed reliable but not verified; anyone considering purchasing this property should perform their own investigation into the uses and condition of the property.